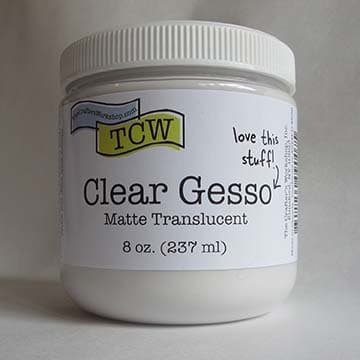 Home / Mixed-Media / TCW9008 Clear Modeling Paste 8 oz. A hazy/translucent, firm modeling paste. This unique modeling paste gives firm structure while not lightening colors or masking the iridescence of metallics. It allows the color to shine through once blended. Perfect for applying with a palette knife through our stencils. Be sure to wash the knife and stencil immediately after use or at least soak in water.